Modern day cloth diapers are not like the cloth diapers of the past. There are many varieties to choose from, they are much better for our environment than disposables and they are oh so cute! 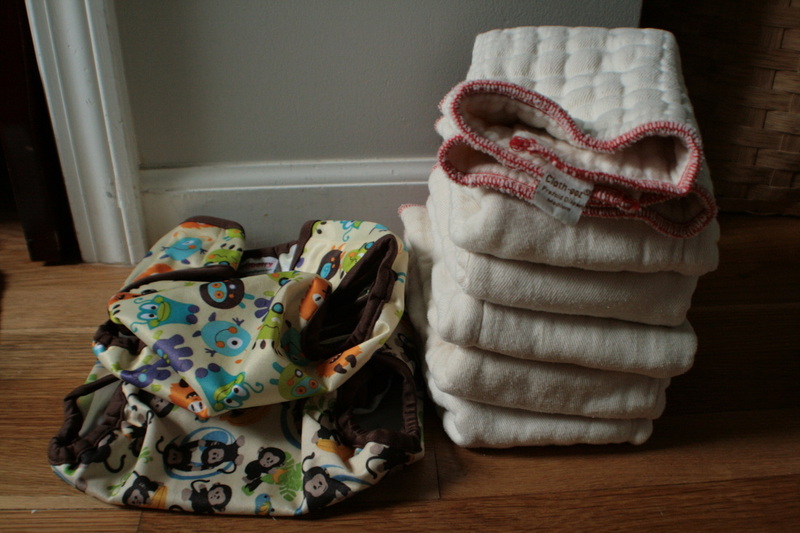 My cloth diapering journey began during the summer of 2011. My almost youngest at the time was almost 1, and I had heard of the new type of cloth diapers, but still needed some convincing that it wasn't super time consuming and disgusting. After hearing through the grapevine about someone who had them and how cute and easy it really was, I began my search into the "FLUFF" world. I only knew one person who had cloth diapered. So, I turned to the all knowing internet for most of my information. After watching tons of YouTube videos, reading blog after blog and surfing cloth diapering websites, I embarked on my cloth diapering journey. It was something I wanted to do because it would save money, was healthier for my children and was eco-friendly. I had decided that pocket diapers would be the best fit for our family, and placed an order for a pocket diaper sampler from Nicki's Diapers. That way I could test out the brands to find what I liked best. I chose Nicki's Diapers because they had a very informative website and a 15 day diaper trial, where I could return any diapers that didn't work out for us. AWESOME! So, we tried, we returned what didn't work and here we are. 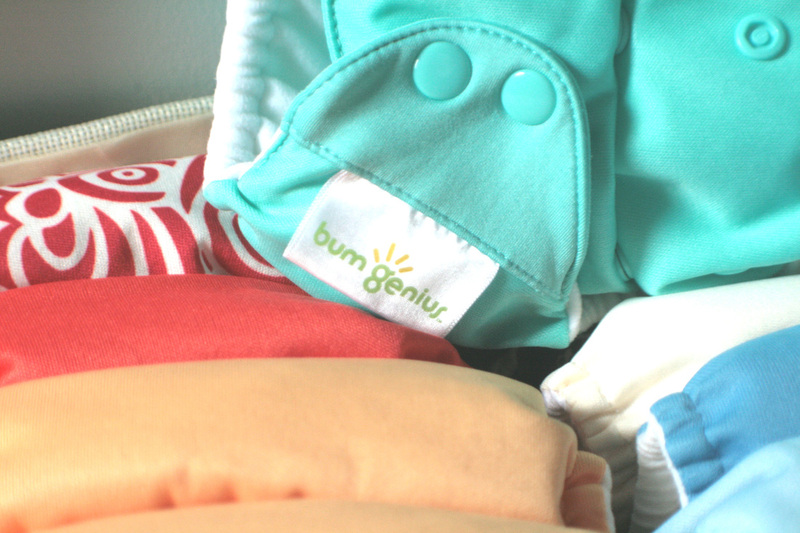 Our favorite diapers are Bum Genius 4.0 pocket diapers. They are my go to diaper. They come in adorable colors, they stand up to the test of a heavy wetter and they wash well. They have an adjustable rise and come in snaps or hook and loop. The insert is made of microfiber and comes with one adjustable insert and one newborn insert/doubler. We also have Thirsties Duo Pocket diapers. These have awesome absorbency and come in two different sizes; 1 and 2. Size 1 is good from newborn to roughly 4 months, and size 2's will last from 4 months till potty training. Of course, it all depends on the baby. Babies come in all shapes and sizes, so the time range of fit may vary. They have a suede cloth liner and a combo microfiber and bamboo insert making it very absorbent. Another feature I really like is the leg gusset that helps hold in the messy poo's! My absolute favorite feature is that it has a pocket opening in the front and back, and the liners work out on their own in the wash! So easy! Happy Heineys are the last pocket diaper that we have. They have a fleece liner and come with two microfiber inserts. I find that Happy Heineys are much more narrow and trim than Thirsties and Bum Genius. These are nice for short periods of time. I find that they need to be double stuffed even through the day. 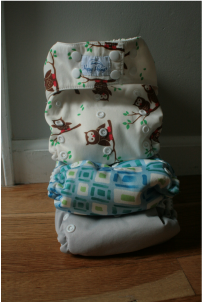 Last, but certainly not least, I have added some Green Mountain prefold diapers with Blueberry covers to our stash. I never thought I would use them, but after experiencing them in our newborn rental from Ecological Babies (newborn rental is no longer offered through Ecological babies), I found that I liked them a lot. 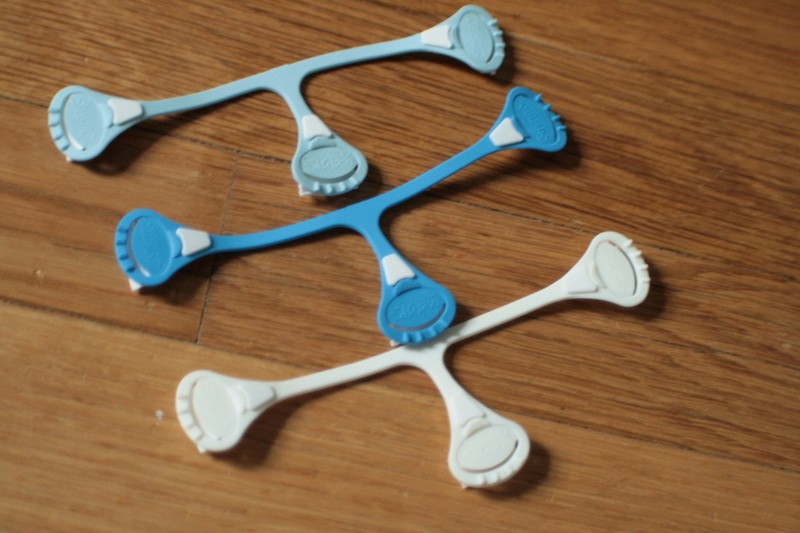 They are much easier to use than expected, and super easy to wash! There are a few different ways to fold a prefold, and they come in an array of sizes. I secure my prefolds with Snappi's. The Blueberry covers are adjustable in size. Nickis Diapers - Momma owned business from Wisconsin! Jack Be Natural - Momma owned business - Fast and Free shipping! Diaper Swappers - Excellent website to buy, sell, and trade cloth diapers. Ecological Babies - Momma owned business from South Bend, Indiana/Tallahassee, Florida! Abby's Lane - Momma owned business in Virginia! Lot's of info, too! CJ's Butter - My favorite cloth diaper cream! Can be used for many other things such as cradle cap, cuts and scrapes, eczema! AWESOME STUFF! The Natural Way - a great Momma owned boutique in Mishawaka, IN that carries cloth diapers and accessories as well as beautiful furniture, toys, baby clothes and maternity wear. Mothering By Nature Center - Located in Valparaiso, IN. Awesome location to stock up on natural baby supplies and cloth diapers. They also offer various classes.